One of the largest homes in Park City's historic Old Town, Badgerland Park City is a spacious 4,050 square foot home ideally situated within walking distance of the Park City Mountain Resort (literally a block and a half). With 5 bedrooms and 4.5 baths, Badgerland comfortably sleeps up to 14 guests - perfect for multi-family trips, family reunions, or couples getaway weekends. Having enough living space will not be a problem . . . . a rarity in an Old Town house! In addition to size, this house has it all - amazing gourmet kitchen, heated floors, heated 2 car garage, large den with TV, huge woodburning fireplace, separate theater/game room, five televisions all with DirecTV movie libraries, DVD players, Sonos music system throughout house, brand new 100-jet Jacuzzi tub, hot tub in master bath, all new linens/towels, high speed wireless internet, office with wireless printer, X-Box, Wii, and a kids game table with dozens of games. No one will bored at Badgerland! Another appealing aspect of this property is its incredible design, completed by one of Park City's premier architects. Because of its size and wonderful decor, Badgerland serves as the "Home of the Stars" during the Sundance Film Festival, regularly hosts corporate events, and has been featured in multiple designer magazines. But perhaps the best thing of all about Badgerland is its perfect location -- it tops the walkability index! Not only is Badgerland close to the skiing, dining, and numerous activities located at the Park City Mountain Resort, Badgerland is within close walking distance of all the key places you'll need to visit -- including 7-11, Starbucks, restaurants, and day spas. Historic Main Street is also just up the road, either a half-mile walk or easily accessible by the free city bus that stops just one house away. Want to ski elsewhere? It's only a couple miles up the road to Deer Valley or a couple miles down the road to Canyons, both of which are also easily accessible from the nearby city bus stop. Sound awesome? It is. You won't be disappointed. Live in the lap of luxury and never lack for something to do at beautiful Badgerland Park City. ​​​​​​​*This property allows one pet with non refundable pet fee of $500. Restrictions apply, pets allowed with prior approval only. 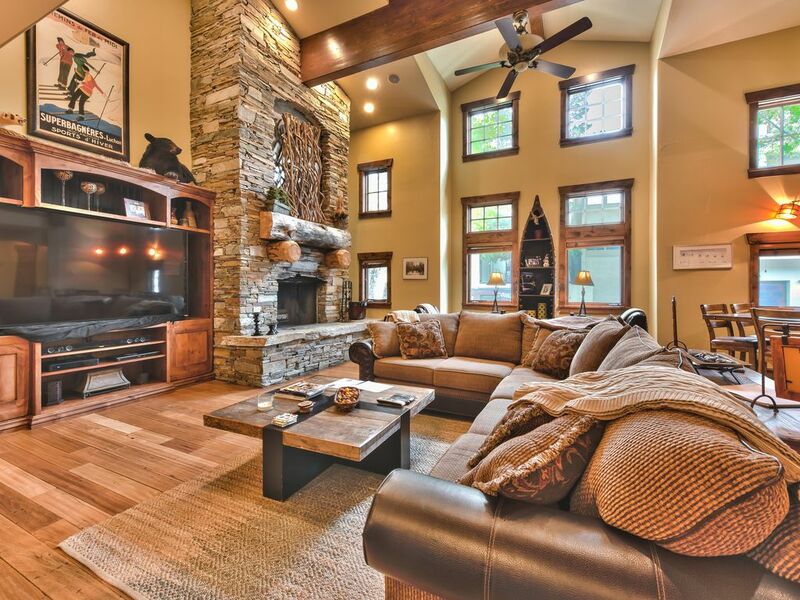 With Park City Rental Properties, expect the very best. We are devoted to providing the highest level of customer service and lodging opportunities. We offer a wide range of accommodations — from cozy condos and spacious townhomes to luxurious mansions — we have something for every taste and budget. You can find ski-in, ski-out lodging, letting you experience our world acclaimed ski resorts in style. Enjoy spectacular mountain biking or golf within just minutes from our accommodations. You can enjoy a remarkable day of exciting activities, and then settle back and enjoy a delicious meal at one of the many excellent dining spots. Or you can head back to your rental, and fix that family favorite in a perfectly appointed full kitchen found in many of our properties. At Park City Rental Properties, we also offer premier catering services, as well as the services of a private chef all within the comforts of your vacation rental. At Park City Rental Properties, we offer many package deals that will let you enjoy all that this area offers. Many of our ski vacation packages offer airport transportation that features an array of amenities including WiFi access, Direct TV, bar and other luxuries to make your ride exceptional. We have access to discounted lift tickets so you can enjoy your ski days without breaking the budget. Ask about our promotional rates for snowmobile adventures. During the summer, we offer specials on horseback riding and other adventures to let you explore our beautiful area during the warm summer months. With our unsurpassed service, well-appointed accommodations, and quality assurance, your Park City vacation is sure to be an experience of a lifetime. Our highly trained staff with decades of property management experience have been tasked with providing our guests with the very best experience possible. We also specialize in group lodgings to make your family reunion, wedding, or special event memorable. Call us today to find the best vacation lodging for your upcoming trip to Park City! Luxury Celebrity Ski Home, Theater Room. We had a wonderful stay in this home. The location was perfect and the condo was comfortable and beautiful! I left my Audi key in the unit and did not realize it. The owner contacted me and mailed me the key We were so thankful!! This is a large home is a great location on a quiet street in P.C. Short walk to the base of PCMR, Park and the Library. We stayed here last fall and the owners have done some very nice updating since then. For a big group this is ideal and it has a TWO CAR GARAGE with space for 2 more in the driveway if you need it. No spectacular views but that's what the chairlift is for. This was the most beautiful home ive ever seen! It had very nice furniture and flooring. The living room was very cozy and everything was as sharp as knife! My wife and I spent alot of time in the Jacuzzi and in our bedroom because the beds were extremely comfortable! This is a fantastic home and i will be returning next year! Fantastic place - right in the heart of the action! Our group absolutely loved this house! It was so great being about to hope on the bus pretty much right outside the house. We walked right up the resort where we did the alpine side and mini golf, it was only like a block away. The big kitchen and dinning room were great for breakfasts and dinners each day. I would die for a kitchen like that at home! The house was absolutely perfect and I would LOVE to stay there again! Great place! I didn’t think it could be more beautiful then it was in the pictures online but it was. We saved a lot of money staying at the house because we didn’t need to rent a car, had most of the meals at home and got discounted lift tickets with our reservation. The manger was great to work with and was available whenever we needed to get a hold of him for anything. We had such a great time on our ski trip this year thanks a lot to staying at this beautiful home. Beautiful home in a prime location!